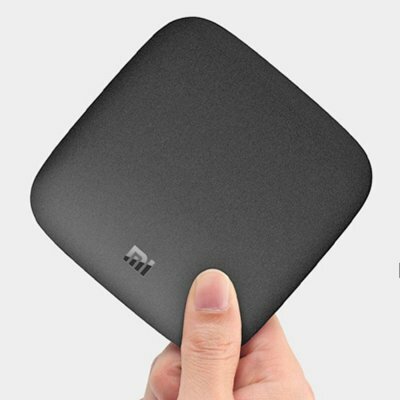 Successfully Added Xiaomi Mi TV Box - 2GB RAM, 8GB ROM, Android 6.0, Cortex A53, Quad Core, Official International Ver4sion, EU Plug to your Shopping Cart. The high performance of Quad-core Cortex-A53 CPU can play a wide range of games. HDR 4K H.265 VP9 Profile-2 4K Decoding will provide you with a scene in vivid contrast, color and clarity. This 4K Android TV box supports Bluetooth voice remote control which can meet your varieties of demands. You can catch your favorite TV shows, play games, watch the news or switch to the radio. Mi box also supports Google Cast. HDMI 2.0 is a faster way to send video and audio output to your TV, it also supports both Dolby and DTS encodings which create you smooth and surround sound. Now it is time to have HDR technology on your TV with 60fps playback, enjoy lifelike viewing experience. Download tons of apps you want, play videos and games with more faster and stable enjoyment. This Mi Box supports voice search and Google Cast and connects to a world of content and entertainment at home, catch your favorite TV shows, play games, watch the news or switch to radio.